CIA Raider Ship Rex - leased to Collins Radio in Nov. 1963 when it delivered anti-Castro Cuban commandos to Cuba from JMWAVE bases in Florida. Revised from an article originally published in Backchannels magazine and a report presented at the national conference of the Coalition on Political Assassinations (COPA) in Washington D.C. on October 10, 1994. If the assassination of President Kennedy was the result of not only a conspiracy, but a covert action and coup d’etat, as many people believe, there should be evidence of this from both the scene of the crime(s) as well as from the highest echelons of power among those who took over the government. This would be especially so if the assassination was not the actions of a lone-nut or a foreign attack by Cuban or Soviet intelligence service sponsors, but an internal manipulation of policy and control, an inside job. As Edward Luttwack describes in his "How-To" book Coup d’etat – A Practical Handbook (Alfred A. Knopf, 1968, p. 117), "Control over the flow of information emanating from the political center will be our most important weapon in establishing… authority after the coup. The seizure of the main means of mass communication will thus be a task of crucial importance." At the scene of the crime, eyewitness testimony is always suspect. Homicide detectives prefer more solid leads that provide documented evidence that can be introduced in court, such as fingerprints, telephone and automobile license records. There are a number of automobile license records of significance in regards to the assassination of President Kennedy, including the tampered photo among the possessions of Lee Harvey Oswald obliterating the license plate on 1957 Chevy in General Walker’s driveway, plus the license numbers of cars seen in Dealey Plaza and parking lot in photos taken immediately before and after the assassination. Most significant however, is the Texas plate PP4537. This number was jotted down on a piece of paper by an elderly Oak Cliff mechanic T. F. White, who noticed a man acting suspiciously behind the wheel of a 1958 two tone Plymouth sedan shortly after the murder of Dallas Policeman J.D. Tippitt in the Oak Cliff neighborhood of Dallas. The car was parked behind a billboard in the parking lot of a Mexican restaurant, with the driver, like White, watching the flurry of Dallas police cars racing down the street with sirens blaring, called to the nearby scene of the shooting of Tippit. White walked across the alley and into the parking lot to get closer and exchanged glances with the man, who quickly drove away. White wrote down the license tag PP4537 on a piece of paper and forgot about it until later that day when he saw Lee Harvey Oswald on television and recognized him as the man he saw acting suspiciously in the Plymouth earlier that afternoon. 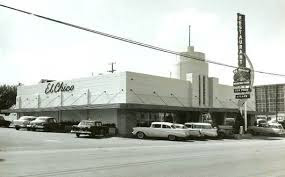 A week later, when Dallas radio reporter and later mayor of Dallas Wes Wise gave a talk at the Oak Cliff restaurant, the owner of the garage where Mr. White worked mentioned the suspicious Plymouth to Wise, who then met White. White reluctantly told his story, but didn’t want to get involved, and Wise had to use all his powers of persuasion to convince White to share the information with him. Wise promised White he would not be brought into the investigation, but that he, Wise, would handle it. "Do you have the piece of paper with the license number on it?" Wise asked, and sure enough, White had it right there in his pocket and gave it to Wise. It read: PP4537. Mr. White told Wise that nobody knew who or what was really behind the assassination of President Kennedy and he really didn’t want to get involved, but he handed over the paper to Wise, who passed it on to the police and FBI. A quick check of the Texas plate #PP4537 indicated that it belonged to one Carl Mather of Garland, Texas. When the FBI went out to the listed Garland address they found the two-tone 1958 Plymouth right there in the driveway and knocked on the door. Mrs. Mather answered, acknowledged the car belonged to her husband, who was then away at work at Collins Radio, in nearby Richardson, Texas. When asked where her husband and the car was on Friday, November 22, 1963, she said that the car was in the parking lot at Collins Radio until sometime in the afternoon when her husband returned home and picked up the family to go to the Tippit residence to pay their respects to the widow and family of their good friend, who was murdered that day. Instead of going out to Collins Radio to interview Mather however, the FBI went first to Mr. White, who Wes Wise had promised wouldn’t be involved. They took additional statements from him, changing his story for the official reports and changed the two-tone Plymouth to a red Ford Falcon. Certainly a mechanic would know the difference between a Plymouth and a Ford. CBS News made a polite inquiry years later, leaving Carl Mather out of the documentary program they aired but listed Mrs. Mather in the programs credits. The House Select Committee on Assassinations (HSCA) briefly looked into the affair, granted Mather immunity from prosecution to testify and then failed to question him under oath. The HSCA published a short report they titled "The Wise Allegation," when in fact Wes Wise made no allegations, and merely followed up on his reporter’s instincts. He came up with an automobile license plate number that was seen near the murder of a Dallas policeman that was traced to one of the victim’s best friends, Carl Mather, whose alibi is that he was at work at the time, at Collins Radio. Documents later released under the JFK Act indicate that Mather and his boss were questioned by HSCA investigator Jack Moriarity and they explained that Mather worked on electronics at Collins, his specific job being the installation of the radio equipment aboard Air Force Two – then Vice President Johnson’s plane. That this lead was not properly investigated, and remains uninvestigated today, is because such an inquiry actually does lead to the heart of the plot to murder not only Dallas policeman J.D. Tippit, but as many believe, it is tied directly to the assassination of President Kennedy. If the Tippit murder is connected to the assassination of the President, as the official stories alleges, then the Tippit murder may be the "Rosetta Stone" that could explain the mysteries of both murders. 1. On November 1, 1963 the New York Times published a front page photograph of the ship the Rex, which Fidel Castro identified as the boat that dropped off a team of assassins in Cuba a few nights previous. The Rex was docked at Palm Beach, Florida, near the JFK family compound, and the Rex’s Halloween eve mission was in clear violation of President Kennedy’s March 1963 edict that no para-military raids against Cuba were to originate from U.S. shores. 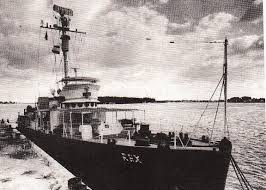 According to the article in the NYTs, the Rex had been sold by the Somoza regime in Nicaragua to the Belcher Oil Company of Florida, its dock fees paid by the CIA front company Sea Ship Inc., with the Rex then being leased to the Collins Radio Company of Richardson, Texas, "for scientific research." 2. Founded by Arthur Collins, of Cedar Rapids, Iowa, Collins Radio first made news headlines when young Collins was an amateur radio buff with the only (home-made) radio receiver who could pick up the radio transmissions of Navy Commander Richard E. Byrd from his polar exploration expedition. [Richard Byrd is the cousin of the founder of the Civil Air Patrol and owner of the Texas School Book Depository building]. 3. 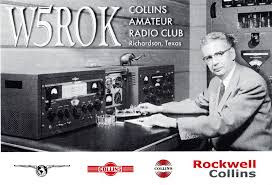 Collins Radio became a major defense contractor during World War II, and following the war, participated in Operation Paperclip, hiring Dr. Alex Lipisch, the former Nazi scientist who developed the Delta I glider and ME 163 Komet jet fighter. For Collins, Lipisch was assigned to the boat development program that worked with General Dynamics in attempting to build and refine a sleek, swift speedboat – like the V20 – a shallow water craft that could be used for Cuban infiltration missions like the Rex mission, but was later used in Vietnam. 4. David Ferrie’s telephone records reflect that in the weeks before the assassination he made frequent calls from the New Orleans law office of G. Ray Gill to the Belcher Oil Company, the company that was the listed owner of the Rex. 5. In the week before the assassination, a reservation was made at Jack Ruby’s Carousel Club for a large party of Collins Radio employees. 6. The Dallas P.D. Intelligence Division maintained a paid informant who worked at Collins Radio reported on fellow employees who appeared suspicious or subversive, including one who subscribed to the leftist I.F. Stone Weekly. 7. When Lee Harvey Oswald returned to Texas from Soviet Russia, George DeMohrenschildt introduced him to retired Navy Admiral Chester Bruton, an executive at Collins Radio, with the idea of Oswald getting a job there, as he had worked in a radio factory in Minsk, USSR. Oswald and Marina visited Bruton with DeMohrenschilt and had lunch with him. 8. At the time of the assassination Adml. Bruton was working on a top-secret nuclear submarine communications project for Collins, with the Navy’s nuclear sub radar and communications HQ being based at Woods Hole, Massachusetts. The Woods Hole institute was responsible for locating the wreckage of the USS Thresher, that sunk on April 10, 1963, the day Oswald is accused of shooting Gen. Walker. Woods Hole is close to Michael Paine’s Forbes family island that Allen Dulles’ mistress and OSS operative Mary Bancroft had visited, and where Michael’s wife Ruth Hyde Paine was in residence when she wrote to Marina Oswald to ask her to move in with her in Dallas. 9. In 1963 Collins Radio began receiving large military contracts including one for the construction of a microwave communications network in Southeast Asia, specifically Vietnam. 10. After Oswald was murdered while in Dallas police custody by Jack Ruby, his widow Marina Oswald married former Collins Radio employee Kenneth Porter. 11. After the assassination in Miami, Florida, a Cuban exile, and Collins Radio executive, was murdered, assassinated in a still unsolved homicide. 12. Collins Radio supplied and maintained the equipment used by the Voice of America, all manned NASA space flights, the Strategic Air Command (SAC), as well as all equipment used for the CIA’s Guatemalan and Cuban operations. Most significantly, Collins Radio was responsible for installing and maintaining all radio equipment aboard Air ForcThe Assassination Tapes.e One, Air Force Two and the Cabinet’s plane. 13. According to the Collins Radio Annual Report to stockholders for 1963-64, Collins Radio not only installed and maintained the radios aboard most military and executive branch planes, they also operated the relay station known as "Liberty" at their Cedar Rapids, Iowa headquarters, which served as the relay station for all radio communications between the White House, the Pentagon, Air Force One, Air Force Two, the Cabinet plane and Andrews AFB in Washington. This "Liberty" station is misidentified on most transcripts of the edited version of the radio transmissions from Air Force One on 11/22/63 and is not even mentioned in Max Holland's The Assassination Tapes. The book Collins Radio – The First Fifty Years says: "Air Force One, the Presidential airplane, was placed in service in 1962 using communications equipment developed and manufactured by Collins. The aircraft…was modified to meet special requirements…In 1962, the station many remember as 'Liberty' was opened and operated from the new communications building…. (in Cedar Rapids, Iowa)…Collins had a contract with the Air Force to serve as either the primary communications station or as a backup whenever Air Force One, the presidential aircraft, and other aircraft in the VIP fleet carried cabinet members or high ranking military officers. Over the airwaves the station’s call word was ‘Liberty.’"
In his book The Making of a President – 1964, Theodore H. White wrote: "There is a tape recording in the archives of the government which best recaptures the sound of the hours as it waited for leadership. It is a recording of all the conversations in the air, monitored by the Signal Corps Midwestern center ‘Liberty,’ between Air Force One in Dallas, the Cabinet plane over the Pacific, and the Joint Chiefs’ Communications Center in Washington….On the flight the party learned that there was no conspiracy, learned the identity of Oswald and his arrest; and the President’s mind turned to the duties of consoling the stricken and guiding the quick." According to the analysis of E. Martin Schotz and Vincent Salandria (in History Will Not Absolve Us, 1996), "And yet the White House had informed President Johnson and the other occupants of Air Force One, all of them witnesses to the hail of bullets which had poured down on Dealey Plaza, that as of the afternoon of the assassination there was to be no conspiracy and that Oswald was to be the lone assassin. If White’s report were correct this would mean that federal officials in Washington were marrying the government to the cover-up of Oswald as the lone assassin virtually instantaneously. This could have occurred only if those federal authorities had had foreknowledge that the evidence would implicate Oswald and that he would have ‘no confederates.’ An innocent government could not have reacted in such a fashion internally." Unfortunately, there is no longer "a tape recording in the archives of the government," as the original, unedited, multiple tape recordings of the AF1 radio transmissions cannot be located despite an Act of Congress, the request of the Assassinations Records Review Board (ARRB) and numerous Freedom of Information Act requests. Our government - specifically the military's White House Communications Agency (WHCA) seems to have simply lost the recordings, with no records being kept of their whereabouts or destruction, if in fact they were destroyed. The Final Report of the ARRB (p. 116) notes: "6. White House Communications Agency. WHCA was, and is, responsible for maintaining both secure (encrypted) and unsecured (open) telephone, radio and telex communications between the President and the government of the United States. Most of the personnel that constitute this elite agency are U.S. military communications specialists; many, in 1963, were from the Army Signal Corps. On November 22, 1963, WHCA was responsible for communications between and among Air Force One and Two, the White House Situation Room, the mobile White House, and with the Secret Service in the motorcade." "The Review Board sought to locate any audio recordings of voice communications to or from Air Force One on the day of the assassination, including communications between Air Force one and Andrews Air Force Base during the return flight from Dallas to Washington D.C. As many people are now aware of, in the 1970s, the LBJ Presidential Library released edited audio cassettes of the unsecured, or open voice conversations with Air Force One, Andrews AFB, the White House Situation Room, and the Cabinet Aircraft carrying the Secretary of State and other officials on November 22, 1`963. The LBJ Library version of these tapes consists of about 110 minutes of voice transmissions, but the tapes are edited and condensed, so the Review Board staff sought access to unedited, uncondensed versions. Since the edited versions of the tapes contain considerable talk about both the forthcoming autopsy on the President, as well as the reaction of a government in crisis, the tapes are of considerable interest to assassination researchers and historians." "Given that the LBJ Library released the tapes in the 1970s, the paper trail is now sketch and quite cold. The LBJ Library staff is fairly confident that the tapes originated with the White House Communications Agency (WHCA). The LBJ Library staff told the Review Board staff that it received the tapes from the White House as part of the original shipment of President Johnson’s papers in 1968 or 1969. According to the LBJ Library’s documentation, the accession card reads: "WHCA?" and is dated 1975. The Review Board staff could not locate any records indicating who performed the editing, or when, or where." "The Review Board’s repeated written and oral inquiries of the White House Communications Agency did not bear fruit. The WHCA could not produce any records that illuminated the provenance of the edited tapes." At the time I delivered my report on "The Collins Radio Connections" to the National COPA Conference in Washington in October, 1994, the Washington Post had just then exposed the true occupant of a new, mammoth, suburban Virginia building. It was not the headquarters for Collins Radio/Rockwell International as had been previously reported, but they had just been the cooperating cover company for the super secret National Reconnaissance Office (NRO), just as Collins Radio had served as a cover for the CIA in the operation of the Rex in Cuba in 1963. In addition, a night time security guard was murdered during the construction of this building. Also, in the October, 1998 issue of John F. Kennedy, Jr.’s George Magazine, - David Wise reported on how the NRO had "lost" $6 billion in U.S. taxpayer’s money, and specifically mentioned the fiasco surrounding the construction of the HQ building, or which Collins/Rockwell served as a cover company. One of the most important inside informants in the assassination Gene Wheaton – worked as a security consultant in the Middle East for Rockwell Collins International. So in conclusion – if control over the communications was a key attribute of the conspiracy and coup – then Collins Radio is all over the playing board and is at the heart of the matter. 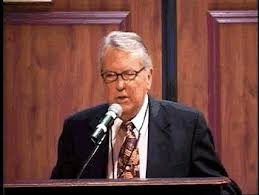 I recorded a two hour plus audio interview with Wes Wise as he drove me around the assassination hot spots in Dallas. On November 22, 1963 Dallas TV news reporter Wes Wise waited in vain for President John F. Kennedy to arrive at the Dallas Trade Mart. There was to be a luncheon with special guests, where gifts would be given to the Kennedys for them and their children, but Kennedy never made lunch, having been ambushed and gunned down in Dealey Plaza. Two days later Wes Wise was assigned to film the accused assassin Lee Harvey Oswald as he was being transferred to the Dallas County jail, just across the street from where Kennedy was murdered. But Oswald too, was a no show. Jack Ruby shot and killed him in the basement garage of Dallas City Hall. Thwarted on two assignments during the most excruciating weekend in his life, Wise kept an interest in the case from the time he was pounding the streets as a beat reporters through his promotion to TV anchor and later as mayor of Dallas. And he’s still on the beat, videotape recording oral histories of assassination witnesses for the Dallas County Historical Society, which now has offices in the former Texas School Book Depository (TSBD), the alleged assassin’s lair. 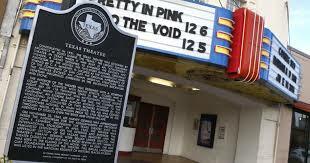 The day after the assassination Wise was assigned to trace Oswald’s movements from the TSBD to the Texas Theater in Oak Cliff where he was captured. It was an assignment he is still, in a sense, pursing. Of all the reporters in Dallas who covered the assassination, it was Wes Wise who set of a small spark on the fuse of a time bomb that’s yet to explode – the evidential outcome of one reporter’s small but significant clue to the crime of the century. A clue that is still being run down nearly 30, now over fifty years later. I first read about Wes Wise in the published reports of the House Select Committee on Assassinations (HSCA). It was listed under the heading “Oswald-Tippit Associates,” and labeled “The Wise Allegation,’ although Wes Wise never made any allegations. He just followed his reporter’s instincts, which led him into a labyrinth of intrigue involving a fleeing suspect and a ’57 Plymouth. Wise either came up with a fantastic coincidence, or a clue that could lead to the unraveling of the conspiracy and the eventual solving of the crime. So when I was in Dallas in 1992 I called Wes Wise on the telephone and took him up on his offer to give me a tour of the town's assassination hot spots. We began at the once and forever Texas School Book Depository, which now houses the Sixth Floor Museum that overlooks Dealey Plaza, the scene of the crime. People come here from all over the world to see the place where John F. Kennedy was murdered. At any time of the day or night you will find people walking around, pointing up to the sixth floor corner window of the TSBD and walking behind the picket fence on the Grassy Knoll. It is a daily ritual that is acted out over and over, every day and every night. People realize that something significant happened here, and Dealey Plaza acts as a vortex of our political and social culture, drawing pilgrims to the place where it happened. Dealey Plaza is an American political Mecca. Some pull a plank off the wooden picket fence – a relic to take home with them. “It’s the number one tourist attraction in Dallas, and may be the most popular in Texas, as I don’t think the Alamo even surpasses it as far as public interest,” says Wise, as we sit in his car on Elm Street, sort of a dead end alley that runs in front of the TSBD. An historical marker on the side of the building tells the story. You can see the scar on the bronze plaque where it was amended, on a more recent date, to qualify Lee Harvey Oswald as the “alleged” assassin. Things just don’t seem as definitive as they once did. A hot dog vendor is set up next to the curb; a young man hawks a newspaper, “The Dealey Plaza Times,” catering to the tourists. The Sixth Floor exhibit, a multi-media museum, attracts bus loads of school children, and travelers can’t pass through downtown Dallas without paying a pit stop homage to Dealey Plaza. The new generation just learning about the assassination of JFK might know the place, the time and the date – 12:30 pm, Friday, November 22, 1963, Dealey Plaza, Dallas, Texas, but to really understand the significance of JFK’s murder you have to put it into an historical context. “I think the background of Dallas at the time is important, and the Sixth Floor exhibit is fair with it, although it doesn’t show Dallas, warts and all,” reflects Wise, who proceeds to drive east on Elm a few blocks before he pulls over to the corner of the Greyhound Bus station. The way most people figured it is that Oswald left the TSBD shortly after the assassination, within minutes, and walked about seven blocks east from Dealey Plaza. No one knows where he was going, but then he takes a bus heading back towards Dealey Plaza. Where he was going, if anywhere, is a mystery. Sitting at the curb facing the east, the direction Oswald headed immediately after the assassination, I observed, further on down the street, a large skyscraper with the words “Southland” on it, asked Wise about it and jotted the name down in my notes. Later that very day I met with former Congressional investigator Gaeton Fonzi, and asked him in which building lobby in Dallas did Antonio Vechina meet with his CIA case officer “Maurice Bishop” and find him meeting with Oswald? Fonzi said, “The Southland Building,” thus presenting another possible destination for the fleeing Oswald, though one that he apparently had a change of mind about before getting there. The bus driver later identified Oswald, as did another passenger, Mrs. Mary Bledsoe, Oswald’s former landlady. He took a bus transfer ticket and got off the buss, and within minutes, the bus was boarded and searched by policeman. Oswald then got in a cab. The cab driver said that Oswald flagged him down, then offered the cab to a little old lady, hardly the actions of an assassin fleeing the scene of a crime. “He apparently did several things that were uncharacteristic of a person who was uptight or upset,” notes Wise. The cab took Oswald back through Dealey Plaza, which at the time was the most confusing and chaotic place on earth. Once a memorial to a local publisher, it suddenly became the most important dateline in the world. Wise pulls over to the curb across the street from the TSBD. “Taking my way up there was typical of the way it was then, compared to the way it is now,” Wise explains. Now tourists must get passed two uniformed security guards and a metal detector to visit the Sixth Floor Museum. If the president only had as much protection. Pulling around the corner onto Houston Street we pass the County Jail, on the left , where Wise waited for Oswald to arrive, and on the other side of the street, a statute of George Dealey, the founder of the Dallas Morning News. As you come up past a park and the Union train station, the Dallas Morning News building is across the street. Ruby was here at the time of the assassination, possibly sitting in an advertising office with a window overlooking Dealey Plaza. Then Wise drives a mile over the Trinity River across the Jefferson Street Viaduct to Oak Cliff. Then there’s the Dobb’s House restaurant, where both Oswald and Tippit had breakfast at the counter at the same time on Thursday morning, and Austin’s barbeque, where Tippit moonlighted as a bouncer for one of Ruby’s partners, and the Hallandale street house where the Cubans lived, and Red Bird airport, for small, private planes, and the Texas Theater where Oswald was captured. Oak Cliff is a virtual hornet’s nest of assassination hot spots. 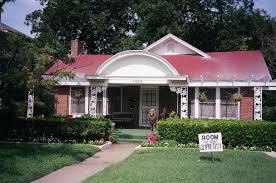 The cab took Oswald into Oak Cliff, five blocks past his rooming house that he walked back to. Now people surmise he did this to throw off the police or the cab driver, if anybody was tailing him or trying to trace him, and it also gave him the opportunity to approach his place from a different direction and case it out, to see if there was any activity there before he arrived. “Now here’s the rooming house – 1026 North Beckley. This is the first time I’ve ever been here when there hasn’t been a sign out front saying there’s a room for rent. The rooming house cleaning lady said a police car (with two policemen in it) stopped out front while Oswald was in there changing. It honked its horn and then took off. Well I have never figured that one out,” says Wise. That Mrs. Paine was teaching Oswald to drive around that time is an important point that comes in play. There is still much dispute over whether Oswald could have covered as much ground as he did, between the time of the assassination and when he was captured at the Texas Theater. All of this took place within an hour following the assassination. “And that’s why my discovery is so pertinent to all of this,” Wise surmises. Wise also came up with another witness to the Tippit shooting years later. Jack Tatum was driving a half a block away and saw the shooting in his rear view mirror. He saw Tippit fall to the ground and the gunman shoot him again when he was on the ground. Tatum then thought, “My God, what’s going on in this city?” He took off and never told anybody, until years later. It’s about five or six blocks from the boarding house to where Tippit is shot and six more blocks to Ruby’s apartment, just across the Thornton Freeway. After Tippit was shot, the Warren Report claims that Oswald switched directions again. Oswald was mistakenly identified as being in the library (on the north side of Jefferson), where he was known to spend time, and a Church, which were both quickly surrounded by police. Along a row of stores is the vestibule of what then was a shoe store where Oswald supposedly ducked in when a police car went by. The shoe store clerk thought that suspicious and watched this man go into the theater without buying a ticket. The ticket girl was standing out on the curb watching all of the police cars go by. Also along here is the Top Ten record shop where Tippit ran in and made a quick call on the pay phone shortly before he was killed. It has never been established who he was calling. From the Texas Theater they took Oswald to Dallas City Hall for questioning in regards to the Tippit murder. On the way to City Hall you pass 1313 ½ Commerce Street, where Jack Ruby’s Carousel Club was once located, just across the street from the historic Adolphis Hotel. The area that used to be the Carousel Club is now a relatively new Bell Telephone building and a small park called Bell Plaza. Just down the street and around the corner from the site of the Carousel Club is the old City Hall and Dallas Police Jail. That’s what they were doing when Ruby jumped out of the shadows and killed Oswald. They were just building the new City Hall when Wise was in office, and this is where he served as mayor from 1971 until 1976. People may focus on President Kennedy when they think about the events of that weekend, but actually three people were killed – Kennedy, J.D. Tippit and Lee Harvey Oswald. The key to any one of those murders also unlocks the mystery of the other two. A week to ten day after the assassination, just as things were starting to calm down, and people were getting back to their routines, TV sports anchor Wes Wise was supposed to give a talk on sports at the El Chino restaurant in Oak Cliff. The lunch and talk had been arranged weeks before, shortly after Kennedy’s visit was first announced. Although Wise said he wanted to talk to him, the man noted the mechanic was a bit reluctant to talk. “You definitely identified him as Oswald?” Wise asked. “There’s no doubt at all. I said that to my wife, that’s the man I saw in the parking lot of the El Chino restaurant,” White responded with certainty. So White handed Wise the piece of paper with the license number on it, and Wise copied the number and gave it to the FBI. Wise kept and still has the original paper - hard evidence in a homicide. And the FBI agreed to that and said they would check into it. They found that a ’57 Plymouth with Texas plate number #PP 4537 was owned by one Carl Amos Mather, of 4309 Colgate Street, Garland, Texas. When Carl Mather sat down to dinner with Wes Wise and two CBS News editors, he was too nervous to eat. They asked him questions and tried to figure out what they too considered to be an amazing coincidence – the accused assassin of the President and a policeman, being seen in a car that belonged to a good friend of the policeman within an hour of the murder. Mather was interviewed by Wise, the FBI, a HSCA investigator, CBS News and researcher Larry Harris, but no one could get anything substantial out of him. The HSCA investigator, Jack Moriarty, was an experienced big city homicide detective, but when I called him on the phone he was faithful to the security oath he signed while working for the HSCA. He did say however, that he was just following the leads wherever they went, then submitted reports to Washington. The HSCA investigation he said, was tightly compartmentalized, so he didn’t know what the other investigators were doing in New Orleans or Miami. Only the committee’s chief counsel, “Only G. Robert Blakey knew the whole picture,” he said. The HSCA issued a subpoena for Mather to testify under oath, giving him immunity from prosecution, but they never acted on it and Mather was never called to testify. But no one bothered to check out Mather’s alibi and go out and look more closely at Collins Radio Company of Richardson, Texas, a hornet’s nest of suspicious activity. NEXT UP: THE COLLINS RADIO CONNECTIONS - Stay Tuned. PLEASE SUPPORT JFKCountercoup - a Reader Supported Research - Keep me going!